sew long good buy...this weekend!!! Got nothing to do on the August bank holiday? The Craft Guerrilla boys and girls will be bidding a fond adieu to the good people of E17. 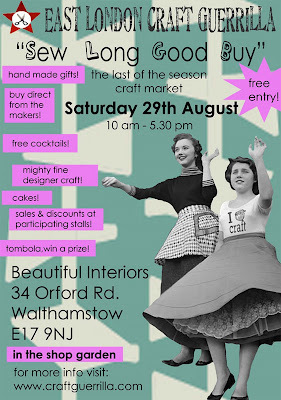 Join us for our last summer market on Saturday the 29th of August. We'll be in the Beautiful Interiors shop garden for the last time this year. We are sad to go....SNIFF...BUT as we're weather dependent we can't push our luck and so far it's been kind to us. As a THANK YOU to all our lovely shoppers we'll be offering lots of great discounts and sale items*. 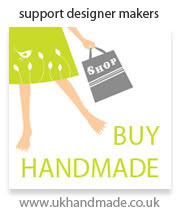 Get here early and grab yourself a hand made bargain! It's going to be a crafty day filled with crafty goodness, great music, great company and the friendliest shop cat in the world! Also come have a cocktail or two with us. Our cocktails are legendary...the sort that tastes of sweet pop but packs a mighty punch! PLAY the Craft Guerrilla TOMBOLA and if Lady Luck is smiling down you might just win yourself a great prize! 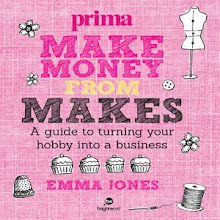 It's only £1 per go and there are loads of great hand made goodies and limited edition Craft Guerrilla craft totes to be WON!!! From 10 am to 5.30 pm. Free entry. Free Cocktails from 11 pm. *applies to participating stalls only and to sale ticketed items. there are a few craft stalls up for hire at this exciting 3 day festival in Brick lane.It's a great mix of art,craft and music! Please contact them (e mail address below) and not us Craft Guerrilla. We're just passing on the info for some friendly chaps and chapettes! After its debut success in May (recommended in London Paper, 350+ audience) 15 minute factory is back as a three day mini-festival 25-27 September. Hosted by Kiss Me Miss Me, 15 minute factory brings together new and cutting-edge acts blurring the boundaries between performance, art and music. Expressions of interest should be sent to 15minutefactory@gmail.com including links or images. 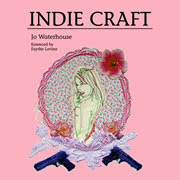 winner and our Craft Zine will be the more beautiful due to your fab illustration! We've had so many submissions for our craft-zine cover that I think we'll have to release it on a monthly rather then tri monthly basis!!! So many talented people have come forth and offered their talents...I always knew illustrators were generous creatures but guys and gals,you have really surpassed all expectations. Lots of grateful crafty karma's going your way! The winner will be chosen on Sunday night (23rd of August) and because the quality has been so good we're throwing it to the lap of the gods. Believe me it's getting more and more difficult to chose! So this way it's a case of Lady luck choosing who gets the honour. We're putting names into a hat and pulling out a random entry. It's much easier this way because I really can't choose! Also because of this we've decided that some illustrations that haven't made it onto the cover will be used in the Zine to illustrate articles. So if you haven't yet sent in your illustration do so before Sunday evening. All submissions will be posted on our blog...because we want to share our new friends talents,plus all entrants web sites will be linked on both our blog and web site and they'll get a special little treat as a thank you! Once again thank you so much!!! there for 8.40PM then move to the Village, Orford Road at 9.30PM. pad. Craft, drink and be merry! miss out. 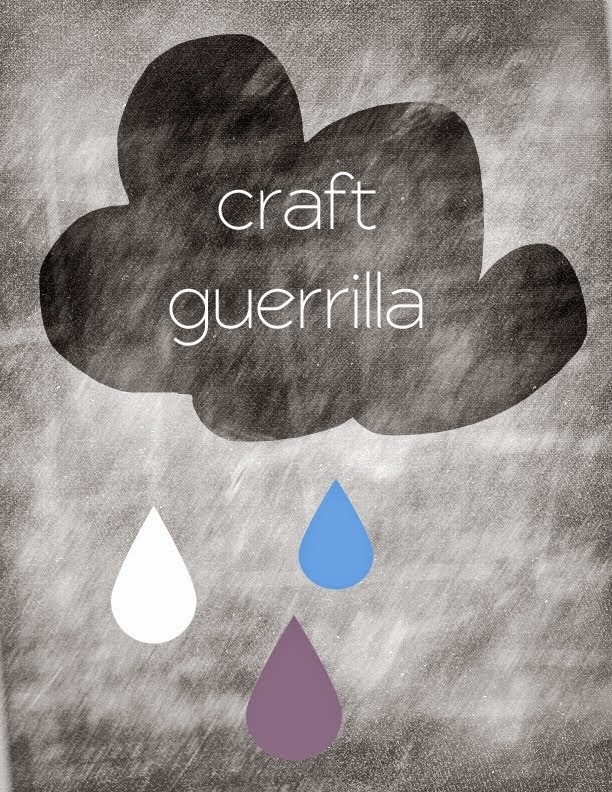 Sign up to follow @craftguerrilla on www.twitter.com. We're super excited about hosting our E17 Art Trail event in September! Last year was really great fun. It was the push we needed to start our D.I.Y. craft nights. As well as the Art Trail being a great inspiration for people like us it's also a great opportunity to publicise your work and collaborate with others. It's not only an event for locals because we've had visitors from all over the UK and abroad.Now in it's 5th year it's caused quite a lot of attention.There have been other Trails popping up around the capital and the UK.It's always such fun to participate in the Trail. As this years guest editor writing the introduction showed me just how diverse and plentiful the borough has become. The amount of original events and art work is absolutely awesome! It's a true hot bed of ideas! 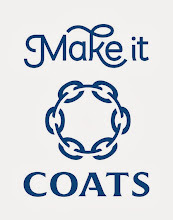 Our "Craftea party" is a celebration of two great British institutes...Craft and Tea! We'll be hosting a tea party in the Vestry House Museum and visitors will be able to relax and make some CRAFT while enjoying a cup of tea and a slice of cake. To coincide with the event our tri-monthly Craft-Zine will be on sale during the whole of trail in the E17 Art Trail pop up book shop and in several retail outlets in the area. Please note that before we except you we need to see examples of your art work. 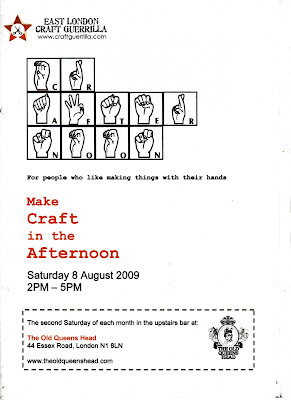 It's that time again...Saturday the 8th of August is our monthly "CRAFTERNOON" at the Old Queens Head. Tons of great craft projects (ready to make DIY craft kits),guest DJ's, in house tutors,guest tutors and a whole lotta crafting fun! You're also welcome to bring your own projects and commune with other crafty souls. Craft group meetings also welcome. Free entry from 2pm - 5pm, Upstairs in The Victorian Saloon. It's not that long away...September is just a hop and a skip away and we're frantically getting ready for our Craftea party on the 13th! The East London gals will be making special edition D.I.Y. craft kits for the E17 Art Trail event to keep all you keen crafters and D.I.Y. divas in the making mood. The Bakerettes will be making scrumptious cakes. Spatulas at the ready,there has already been discussion of cake recipes and all I can say is CHOCOLATE is a big part of the menu choice!!! All types:from Brownies to French tarts. Yum, but then I am partial to Chocolate! I also hear there are some mighty neat little projects like felt Kawaii tea bags,hand embroidered tea tray cloths, knitted cup cakes and more to be announced! 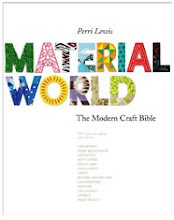 It's all about our favourite British institutes:Craft and Tea! Also I've been invited to write the editorial for the Trail map. It was great fun to write about our "HOME" which is a very talented but sometimes forgotten corner of East London. YES,it is EAST LONDON,North East but hey...EAST IS EAST!!! We're mega proud to be part of it and the Trail which is now in it's 5th year. We hope it keeps going indefinitely! Well done Chris,Laura and Morag! Read the blog for up to the moment news and info. "Craft Guerrilla were thrilled to be invited to participate at this years Indietracks festival in Butterley, Derbyshire. It was a weekend packed full of indie bands, craft, cider and steam trains! Lisa and Louise put on a Craft Guerrilla 'DIY Crafternoon' in the workshop wigwam, debuting our new 'Mix tape' felt badge which went down a treat (thanks for all the lovely feedback Indietrackers)!It was great to see old friends and make lovely new ones."